Speck is getting ready for our second weekend at Austin City Limits, where we’re hosting a #reSpecked suite for festival goers and sending Speck fans home with military-grade protection for their favorite Samsung smartphones. 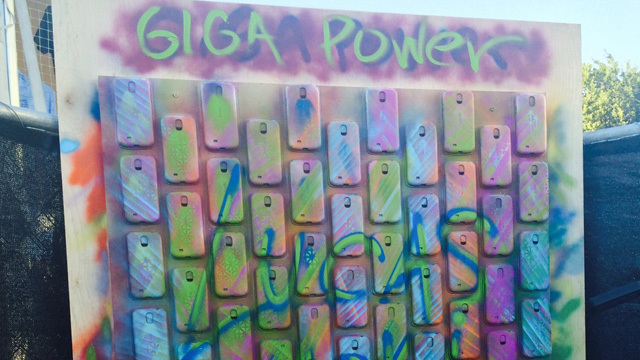 We hosted a Speck Suite at the AT&T U-verse Art Lounge for a special GigaPower Hour where graffiti artists use hundreds of Speck cases as their canvas. Fans tweeted #GigaPower all day to send inspirations for the drawings like music, technology, and good old fashioned Texas sunshine. If you’re heading over to Austin City Limits this weekend, be sure to stop by the Speck booth between 3pm and 4pm every day for GigaPower Hour and the chance to take home some sweet Speck gear!